Pictured in this file photo from summer 2017 is Fairview Memorial Park. 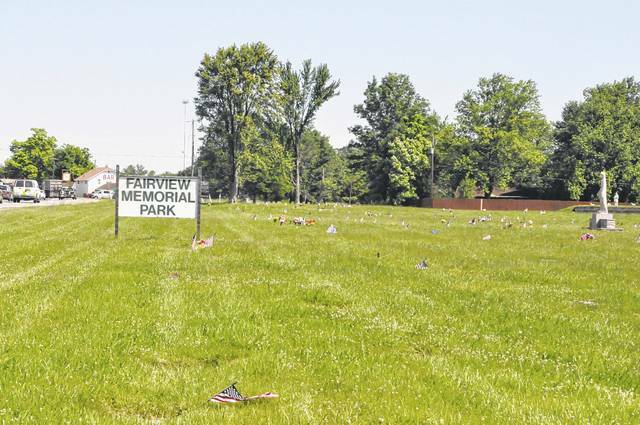 Berlin Township filed a motion last month to intervene in the matter of Fairview Memorial Park before a section of the cemetery was sold, claiming it has a legal interest in the cemetery. A.C. Strip, a Columbus attorney, was appointed to be the receiver for the cemetery, 5035 Columbus Pike, in May 2017, and he has been managing the cemetery’s affairs ever since. Strip has been filing regular updates with Delaware County Common Pleas Judge David Gormley and has been looking for a buyer for the cemetery since Gormley ordered that it be dissolved last fall. The cemetery’s owners, Theodore and Arminda Martin, were charged with felony theft in 2016 for selling items, but never delivering them at the cemetery. Similar proceedings are underway in Portage County, where the Martins own another cemetery, Grandview Memorial Park. “The proposed sale is in the best interest of the receivership estate and its creditors,” Strip wrote in the April 10 motion. However, on April 23, a Motion of Interested Party was filed by Berlin Township, asking to intervene in the matter and objecting to the sale. In the motion, Berlin Township’s attorneys, Stephen D. Brown and Christopher A. Rinehart, argue that because the cemetery is situated in Berlin Township and is not owned or in the care of an incorporated company, the township automatically has a vested interest and should have been a party in the case. The township’s motion argues that proceeding forward with the sale and case impair the township’s interest. On May 3, Strip filed a motion asking for an extension of time to respond to Berlin Township, and on May 4, Gormley granted the motion, giving Strip until May 18 to respond to the township. There have been no filings in the case since May 4.